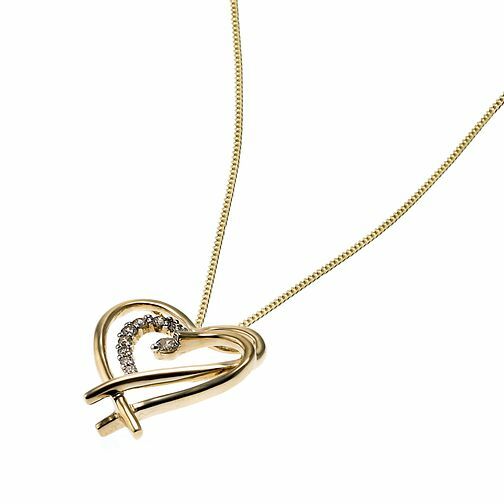 Show her how much you care with this delightful 9ct gold diamond set heart shaped pendant. She'll want to wear it day in and day out. 9ct Gold Diamond Set Heart Pendant is rated 4.7 out of 5 by 3. Rated 5 out of 5 by Anonymous from Brilliant product I am really impressed with this necklace and the speed in which it arrived. Thanks.